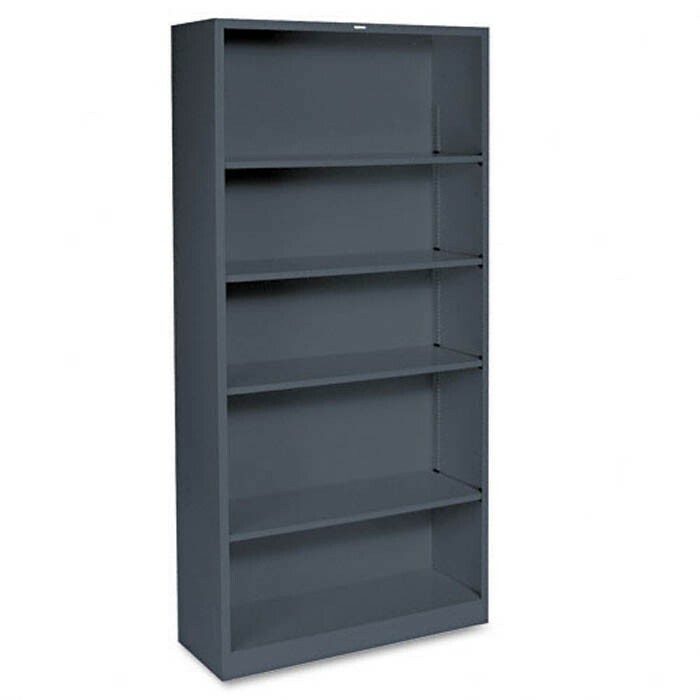 Metal Bookcase, 5 Shelves, 34-1/2w x 12-5/8d x 71h, Charcoal. 34-1/2w x 12-5/8d. Shelves adjust in 1/2" increments. Straight sides and backs allow flush alignment. Shelf count includes bottom of bookcase. Bookcases ship assembled. 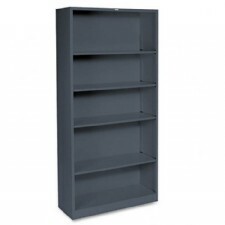 Handsome high-quality steel units store books, binders and office supplies. 34-1/2w x 12-5/8d. 34-1/2w x 12-5/8d. This product is also available nationwide. Please contact us for delivery cost or place in cart and submit a purchase request so we can contact you with delivery cost to your location.